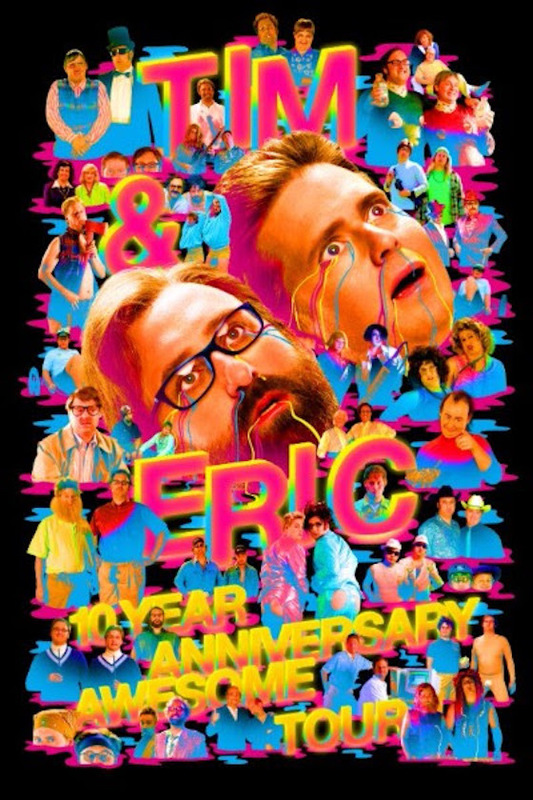 It's hard to believe that it's been 10 years since Tim Heidecker and Eric Wareheim unleashed their massively influential brand of comedy with Tim and Eric Awesome Show, Great Job! To celebrate their milestone, the pair have announced a North American tour. Sadly, the trek is not called the "Double Cinco" tour. Instead, they've utilized the more straightforward "10 Year Anniversary Awesome Tour!" The trip includes stops all over North America, but only one Canadian date. The pair will play Vancouver's Orpheum Theatre on August 4. It's been 10 years. We are heading out to see our chips across the USA and celebrate this incredible decade of Tim and Eric with a number of new spoofs and goofs, riffs and bits, songs and dances and hope to create memories to last a lifetime. Further, they've shared a video to promote the tour. Watch it below.